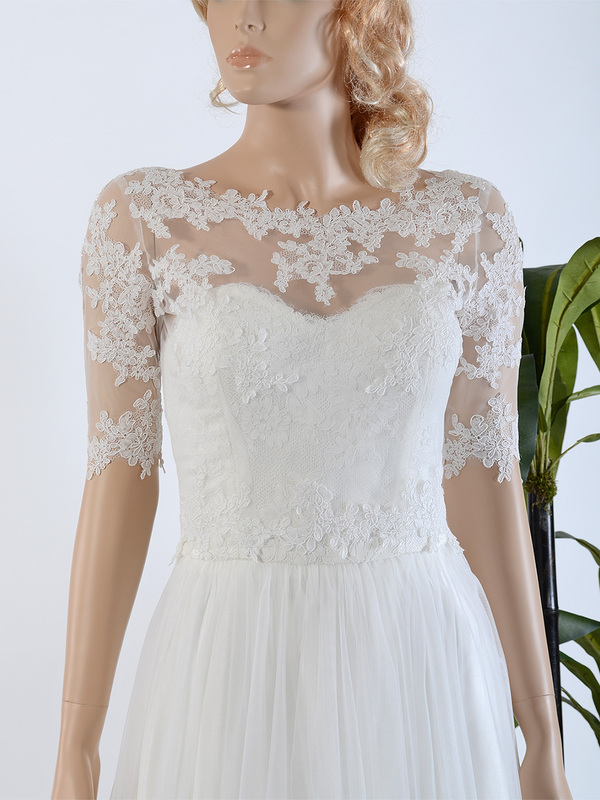 Beautiful wedding jacket made of illusion tulle fabric with alencon lace appliques. Elbow sleeves. The color is in ivory. It features satin wrapped buttons at the back.